If you selling your property, having the property styled can increase the sales price and reduce the amount of time it spends on the market, thus maximising your profitability. If you’re thinking about selling your property, you’re probably wondering if you need to spend any money on the property to help make it more sellable. However because every property is different, some homeowners will need to spend money on their property to make a sale while others won’t. This depends not only on your property’s current condition, but on the condition of your local real estate market as well. There are many different methods that can be used to spruce up a property before putting it on the market. These could range from a basic clean-up job to a full renovation. The deciding factor should be the return on investment. A good real estate agent will be able to help you go through these different levels of investment, to determine what will be most effective in your particular situation. It helps to have an real estate agent who is well versed with your local competition and the state of the market in general. If you are going to spend money on your home, it’s vital to ensure that this money is going to be put to good use and result in a higher profit at the point of sale. The return on investment will depend on several factors. One way to make a great ROI without breaking the bank with a major renovation is by giving your property a top-to-bottom makeover. This could include rearranging furniture and decorations, purchasing new accessories, repairing minor flaws, and cleaning the house thoroughly. Those who do have the cash for a larger scale renovation will want to think carefully about what to commit to and how much to budget for this task. In many cases, a newly renovated home will receive a higher value or price on the market. Yet before you get started with knocking down walls, be careful that your renovations are designed to draw in a wider range of buyers rather than limiting your potential market. This will depend in part on the other homes in your area. If your property is already considered to be priced at the higher end of similar homes in the neighbourhood, new renovations will push it out of the affordable price bracket for many potential buyers. This could lead to the home sitting on the market for a longer time period before a buyer who can afford it is found. A major factor to take into consideration is the conditions of your local real estate market. This is why it’s important to choose a local real estate agent who not only has experience with selling homes in general, but in your specific suburb. Homes in your local area that fall into the same price range should be the standard by which you hold up your own home. If these homes have features and amenities that yours doesn’t, this could indicate the need for renovation to bring your home up to the same standard. 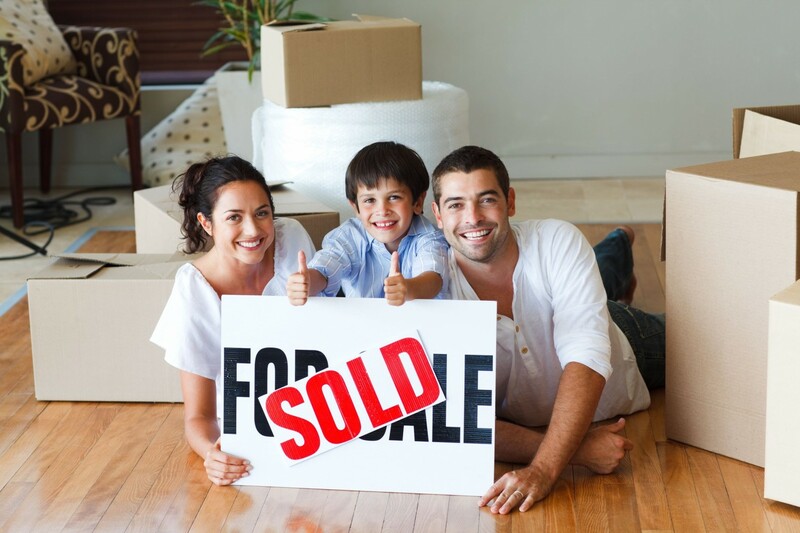 In addition to consulting with a real estate agent to compare homes in the area, you can visit local auctions to catch a glimpse of the type of buyers who will be interested in purchasing your home. Find out what income bracket they fall into, and use this demographic information to help you determine if renovating your home will set it ahead of the crowd in a good or bad way. It’s ideal to keep your home in an affordable price range while giving it the features that will make it stand out from the crowd. This will give you the strongest return on your investment. Renovations will take both time and money to come to fruition. You’ll need to weigh these costs carefully to determine if this is a good idea in your situation. Even if you budget for renovations, it’s important to note that many costs run higher than what you may have initially anticipated. It’s a good idea to give yourself a cushion to help soften this additional expense. Think carefully if these resulting changes to your home will justify the cash you are spending to have them completed. In many cases, renovations simply aren’t worth the price. You’ll also be spending money on the moving process after the house is sold. This is one aspect of selling a home that many people forget to plan for, and are hit with large and unexpected bills after the fact. You’ll have to put down a deposit on your next property as well. If you don’t have a particularly large nest egg, ask yourself if you can really afford to invest it. Those in a hurry to move may not have the time to renovate their home. If you need to move quickly in order to settle your child in a new school or start a new job, renovations may not be right for you. They take time, and if any problems arise they can take even more time than you had initially anticipated. Rushing a job can lead to an unsatisfactory outcome which is not worth the money. Cutting corners is risky, because it can lead to finer details being overlooked. Don’t think about renovating unless you have ample time and money to do so, or the return on investment will not be high enough to justify the work being carried out. Moving house is already stressful enough, so if you are rushing to complete a renovation before you move it may not be worth the trouble. Because professional renovations cost time and money, many property owners choose to renovate their own homes. The culture for Do-it-yourself renovations is quite popular in Australia, with numerous television programmes dedicated to this practice. There are free renovations classes offered by hardware shops and many online resources to help you get started. It’s tempting to jump on the DIY bandwagon to renovate your own home before selling the house. This could potentially yield a larger profit, after all. However, before you get started with knocking down walls think long and hard about this. Although there are many small repair jobs in the home or yard that can be accomplished easily by amateurs, for larger renovations more expertise is needed. You will need to know what the most appropriate materials are for the job, and be able to prepare surfaces correctly. Do you know which tools to use and how long products need to stand to work properly? If a DIY job goes awry, you’ll have wasted time and still need to pay a professional to fix the problem. One of the most important actions you can take when selling your property is to thoroughly de-clutter and pack away any unneeded possessions. This will allow your house to feel and look bigger and create the space needed to allow a potential buyer to imagine living there. To freshen up your property and make it look its best on a limited budget, the best bet is to conduct a full home makeover. This can be accomplished with very little money, and can result in a high return on investment. Don’t be afraid to paint your home’s interior walls. This is one way to create a professional look without the need to hire a professional. If you do choose to paint your home, use neutral tones such as beige and off-white to create a clean, cool look. For a fresh and modern atmosphere, you can also rent brand new furniture for use just during the inspection period or auction. Your real estate agent may have professional connections that can yield a discount on furniture hire and home staging. Your property is likely to be your biggest financial investment, so when you put it on the market, it is important you get it right. Property Styling can make a huge difference in how much you sell your home for and how long it takes to sell. Renting furniture is advised if you have an old or tired looking furniture. Another benefit of property styling is that they will have access to furniture rental services. Professional home stagers and property stylists often use rental furniture to boost the overall effect of a home presentation. To avoid spending massive amounts of time, energy, and money on unnecessary home renovations, be sure to discuss your plans with a real estate agent. This will help you maximise your return on investment. Whether you are thinking of professional or DIY renovations, your agent will know what will work the best for you and whether these repairs are necessary in the first place given the state of the local market. All potential buyers will be seeking out a bargain. To some, freshly renovated properties can be a real turn-off because they will feel like the home is being presented in search of maximum profit. They will look for underdog properties instead that fit their budgets. Some buyers will even specifically be in search of properties that they can renovate on their own, ruling out any homes that have already been renovated. Ironically, leaving your aging home just as it is could end up netting you a sale!